You and Grandma Ruth have been on my mind. I’m in my 60th year and a beekeeper now, married to a man named Joe that you both would have liked a lot. We have 15 acres north of Asheville, NC, in the southern Appalachians. 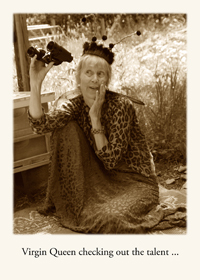 I am in my bee yard daily, watching the bees … and I often think of you both. Growing up in the suburbs of Chicago, your farm (always “The Farm” in my remembering) was a magical destination for me … a whole world I was free to roam and the first place I traveled to, by myself, as a child. Dad put me on the train in Chicago, along with chewing gum and abundant magazines, and off I went (to you) like the queen of the cosmos. I adored the farm and I adored you both. I ranged and rambled like a free-range chicken … and everywhere felt safe. I know you weren’t a beekeeper but you farmed all your life, your land tucked between Farmer City and Mahomet … corn, soybeans, cattle, chickens, and some pigs being the mainstay of your life. Mom told me that you pretty much never left home except for when a war borrowed you for a few years. You loved that land and I believe it loved you. I found a photo of you in your soybeans, flowering like a sturdy plant in your own fields. I particularly love it and have a copy in my study. Cousin Nancy and Aunt Amy discovered this caption on that same photo: Pop wanted to show how high the corn and beans got in the Summer of ‘52. That, apparently, was a summer of epic growth (and since I was conceived and born that year, something must have been in the air). Back in the day, in a sea of many cousins, I feel like I was probably one of the least likely to take up beekeeping … everyone else seemed to have far better (what I would call) earth skills, which I so admired. But the bees got me and when they did, I started thinking even more about you and Grandma Ruth. And just so you know, after getting my undergraduate degree in college, I never did get my Ph.D. In 1974, I went to Europe for three months and stayed 11 years (I was in England). Life had better plans for me than the ones I was making … and my Ph.D. became a BEEh.D. The honeybees have been struggling. They are up against a mite called Varroa destructor, a phenomenon called Colony Collapse Disorder, and a whole host of effects from modern pesticides, herbicides, fungicides and (in my opinion) other poor human choices. I am trying to help. 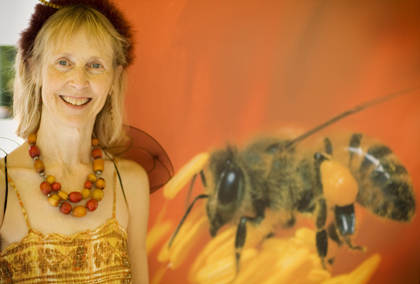 As an educator, speaker and writer (and an everyday, devoted beekeeper), I have brushed up against some amazing bee-ish movers and shakers … the Bee Illuminati (as I call them). I want to introduce you to them through this series of ongoing articles; they offer great insight on important territory and talk about things I don’t hear enough about (or even at all).Times have changed but I guess they always do. 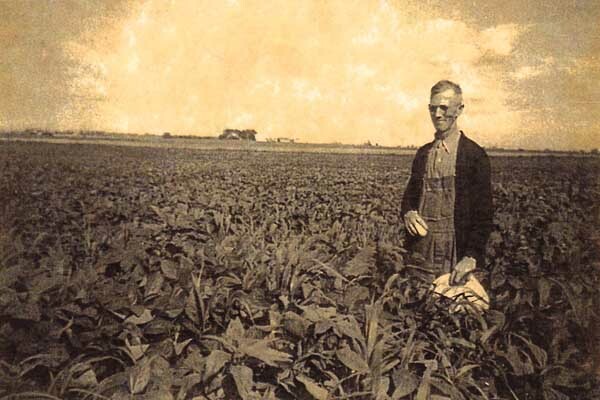 In 2012, here are some things I am concerned about … As I drive through Illinois these days, soybeans and corn are planted much closer to the road and ditches, crowding out wildflowers and so-called weeds. Pollinator habitat has been gussied up, sprayed away, or claimed as a few more feet for crops. A cousin who still lives in Illinois said that many butterflies and moths he used to see when he was growing up, have all but disappeared; and he is hard pressed to see monarchs or milkweed any more. The crops have become mono-crops and most seeds, genetically modified. 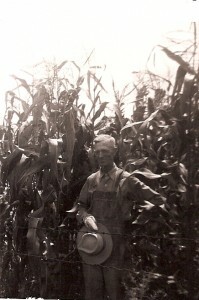 Grandpa in his ten-foot-high corn. The rows of corn I played hide-and-seek in as a child, are now planted so close together that you can’t move through them. 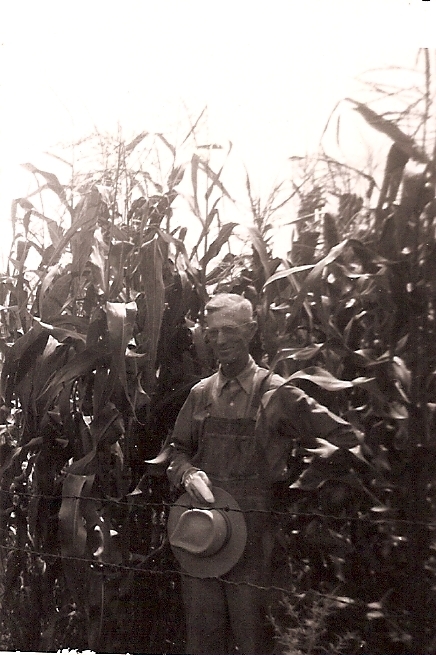 You’d have to do some serious tromping through the corn these days to get a photo like that one of you in ’52, standing next to the ten-foot-high stalks. One summer when I was visiting the farm, I saw a hound dog burst through the cornfield, into the yard by the barn. It was distressed and lost, and paced the periphery of the field, looking for a way back in … unsuccessfully. It returned home another way. Hound dogs are trackers, yet this one was at the mercy of modern agricultural practices. Aunt Miriam (very generously) bought the farm after you and Grandma passed on. So it stayed in one of the tributaries of the family. She holds an annual family reunion. Last time I was at the farm, I looked out over the fields with a different eye … a beekeeper’s eye and not a growing-up-child’s eye. And I had a heart-stopping thought: I realized that with the way things are now, no one could keep bees on your farm. They would starve because there is not enough food for them to eat. Corn is generally a wind-pollinated plant and not honeybee-dependent, but if there aren’t many other food sources, bees will go to corn pollen for the short season that it is available. But right where you lived all your life (and for miles around), there isn’t enough plant diversity anymore, across a whole year, for bees to forage the kind of nectar and pollen they need to live well (or at all). And what is equally distressing is that just last week, “new research has linked springtime die-offs of honeybees critical for pollinating food crops … with technology for planting corn coated with insecticides.”* All of this is extremely sobering and frankly Grandpa, I have often felt grateful that you passed when you did. In your last years, you told me that you knew you wouldn’t live to see everything put right where Civil Rights were concerned. That’s true, but across your life there was some progress. And in mine, even though the bees are still deeply challenged and there is plenty to worry about in the world, good things are happening, too. On the bright side, which is the place I choose to live, amazing people like these writers (some of our collective “better half”, like you and Grandma) are sharing their wisdom and casting a vote for the betterment of honeybees (and all life). They are folks I think you would have enjoyed sharing tales and time with on a Sunday afternoon, after church. The world is full of heroes and sheroes … some unsung and some “sung”. This series is my song to you, Grandpa … and to Grandma and Mom and Dad and the bees and the land and farmers everywhere … and to the lineage that runs through me like a river, quenching some part of myself that I didn’t know was thirsty. I still miss you. But somehow, once the bees got a hold of me, you came back into my life with a mysterious and marvelous vengeance. Somewhere in the hum and full fat fragrance of the bee yard, I catch the OshKosh B’Gosh essence of you … and it gladdens my heart. Come along, Roy, and meet some of my friends. 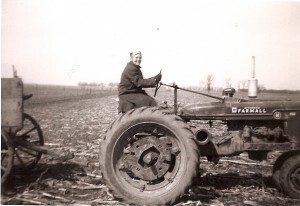 Grandma Ruth on a tractor. P.P.S. Nancy, Sally, and Aunt Amy have been particularly helpful in ferreting out old photos, along with information about them. Look at this one they found of Grandma on a tractor. Isn’t she something? To your last days, you could still bring a blush to her cheek with your teasing; and I treasured her response: Oh get on with you (as she flicked her apron). I don’t ever remember a cross word coming my way from either of you. You and Grandma set the bar in the fine folks department and my time with you was golden. What amazing photographs of your grandparents! You can see the strength and joy they hold. Thank you for sharing their story. You are so welcome, Sara. Blessings …. 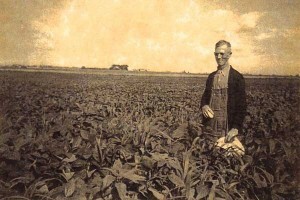 Thoroughly enjoyed reading about your Grand-father farming in Illinois. Great blog from a fellow Beekeeper in England. Hi David, thank you so much. I really appreciate it. And your Beekeeping: A Novice’s Guide is a treasure trove – just discovered it on your website and ordered it online. I teach / speak a lot here in the US and will put it in front of people as I pollinate around. blessings! Hi Debra, I read this page with teardrops and I am sure your granpa and grandma both are so happy to have grandchild like you. PS Donna, for some reason I can’t find your email address … I thought it was in this conversation track. At your convenience, can you email me so I can then respond to you by email soon? 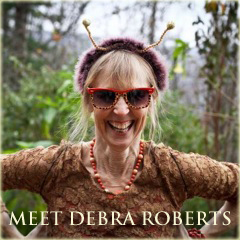 My address is: debra@fifthworldwomen.com. Thank you. 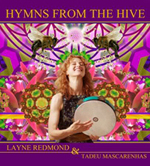 Next post: BEE DELIRIUM … the bees are bursting out of their britches!